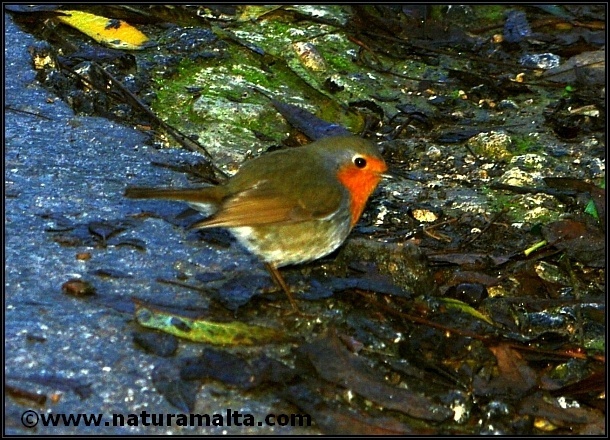 The Robin (Erithacus rubecula) is a small passerine bird which visits the Maltese Islands in early winter. 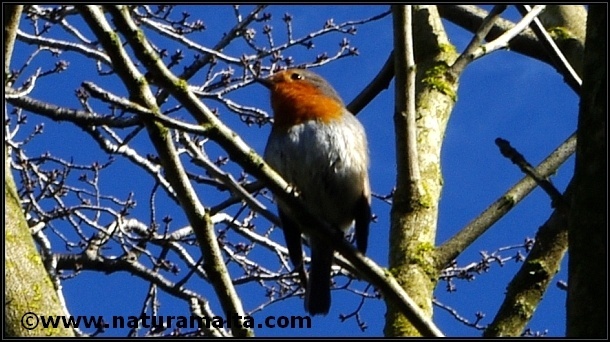 It has a characteristic orange to red breast and is easy to identify. It feeds on small insects and worms. It is a very territorial bird and males can sometimes be seen attacking other small birds. It is a comparatively friendly bird and can be seen hopping, on soil or a branch, close to people, a rarity in Malta.